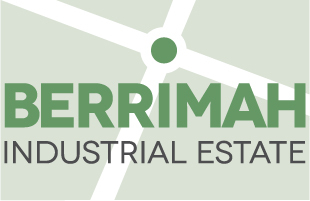 BERRIMAH INDUSTRIAL ESTATE REPRESENTS DARWIN’S MOST CENTRAL COMMERCIAL LAND AND INDUSTRIAL PRECINCT. The modern, master-planned precinct has a striking advantage – location and accessibility. 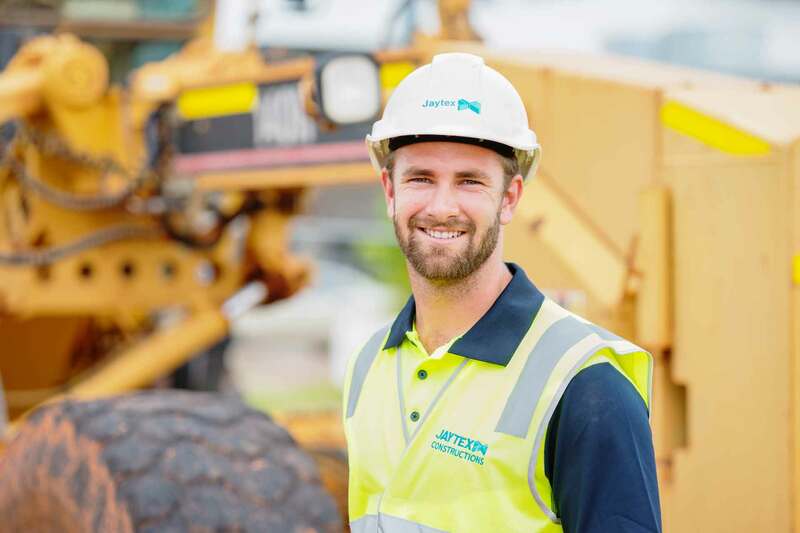 Now, to a greater degree, with the Northern Territory Government recently announcing its tender for the new connecting road and subsequent thoroughfare to be laid through the estate to connect Amy Johnston and Vanderlin Drive. 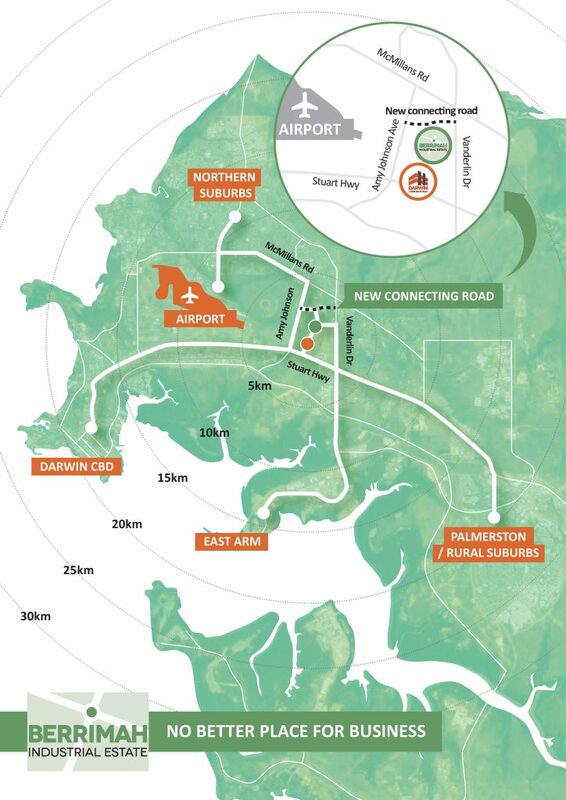 This will be a direct link in and out of the Estate to the Northern suburbs and/or Palmerston. 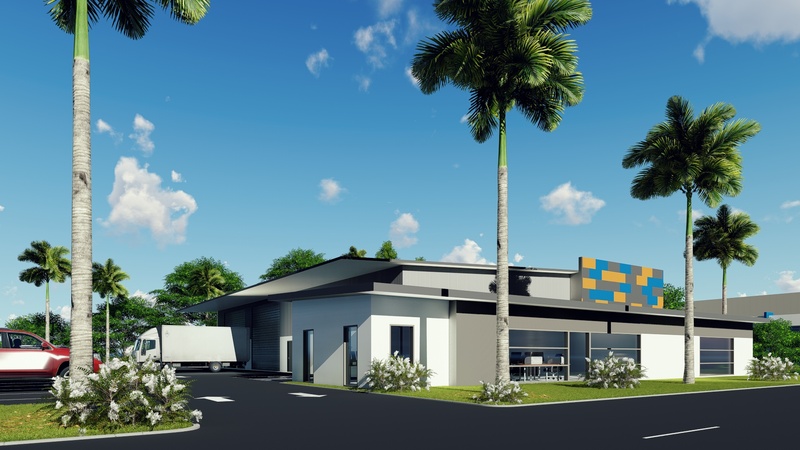 A string of high-profile businesses, including the Department of Primary Industry and Resources, Fisheries Division have made the strategic decision to move to the estate, which is next to the prestigious Darwin Corporate Park on the Stuart Highway. Arm. Its sister development, Darwin Corporate Park, has attracted many blue chip tenants, which in turn is attracting businesses to the industrial estate. 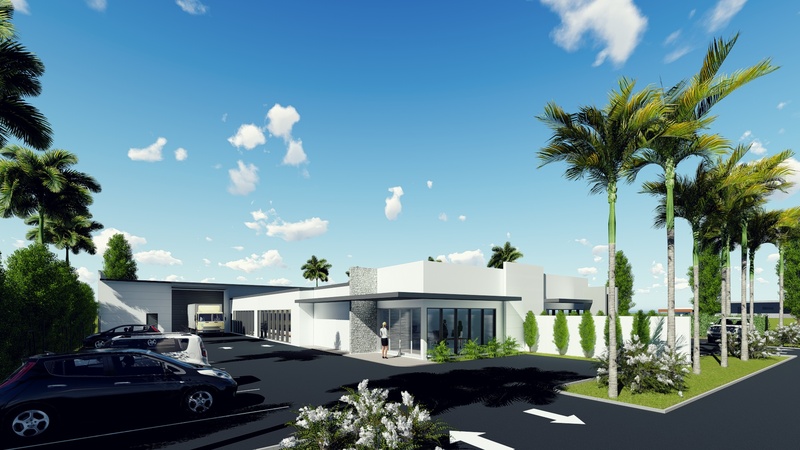 In fact, the two developments coupled with the state of the art Mazda dealership, Super A Mart, Joyce Mayne, Beaumont Tiles and Cam Interiors are raising the whole profile of Berrimah as the geographical heart of Greater Darwin. It’s hard to imagine a better location for business with Lot sizes to suit any business are on offer, and the developer is able to provide purpose-built for lease or sale options to suit all business sizes. EXCEPTIONAL OPPORTUNITY WITH EXCITING PROSPECTS WITHIN AN EXCLUSIVE LOCATION! © 2017 Berrimah Industrial Estate. All Rights Reserved. Darwin has evolved from its days as a laid back frontier town and while it still remains its relaxed charm, it has become a sophisticated city. Many visitors are surprised to find that it has accommodation, eateries, clubs, pubs, museums and other amenities that are equal to what you’ll find in the southern cities. Our city is both modern and multicultural, boasting a population made of people from more than 60 nationalities and 70 different ethnic backgrounds. The city is characterised by its many exciting cultural festivals and weekly food and craft markets. Darwin is one of Australia’s thriving business capitals. In business and industry circles, Darwin is described as Australia’s gateway to South East Asia. It’s closer to the Indonesian capital of Jakarta than it is to Canberra and is about the same flying time from Singapore and manila as it is from Sydney and Melbourne. The majority of Darwin’s workforce, about 60%, is made up of government employees. It is also the main service centre for a wide range of industries headed by mining, offshore oil and gas production, pastoralism, tourism and tropical horticulture. The Port of Darwin is also the main outlet for Australia’s live cattle export trade in South East Asia.